For organizations today, flexibility is as good as gold – but spinning up applications and virtual machines at the high speeds that modern business demands isn’t always possible in current architectures. 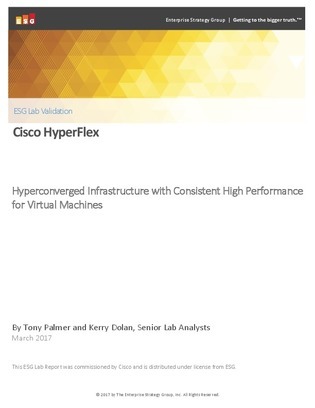 And while hyper-converged infrastructure (HCI) offers an enticing alternative to more rigid infrastructure options, how does it hold up in the real-world? In this report, find out how organizations like yours are reacting to the growth of HCI and converged infrastructure options on the market, subsequent adoption trends, and more. Based on survey data and in-depth testing, catch a glimpse at possible use cases where HCI/CI platforms can thrive.